Ever heard of or seen pork belly and wonder, “What the heck is that?” Yeah, me too. At work, I go through dozens and dozens of invoices each week, looking over the product sent to us by wholesale distributors. We go through hundreds of boxes of pork belly each month and I always used to wonder, “What do people use this for?” It wasn’t until fairly recently that I discovered most of the restaurants and cuchifritos we supply cut the pork belly into small chunks and deep fry. Talk about a coronary on a plate! Pork belly is exactly what it sounds like — the meat from the belly of the pig. It’s very fatty and definitely not diet food. Besides being commonly used in cuchifritos, I discovered that pork belly is extremely popular in Korean and Chinese cuisine. Hmmm, I guess I’ll have to check for that the next time we order from Oriental House! When I saw Anne Burrell braise a piece of pork belly on Secrets of a Restaurant Chef, I said to myself, “Hey, I’ve seen pork belly! I know what that is!” My inner foodie jumped at the chance to make it. This is definitely not part of a low calorie, low fat diet. Don’t check your Weight Watcher’s Points Calculator, unless you want to pass out. 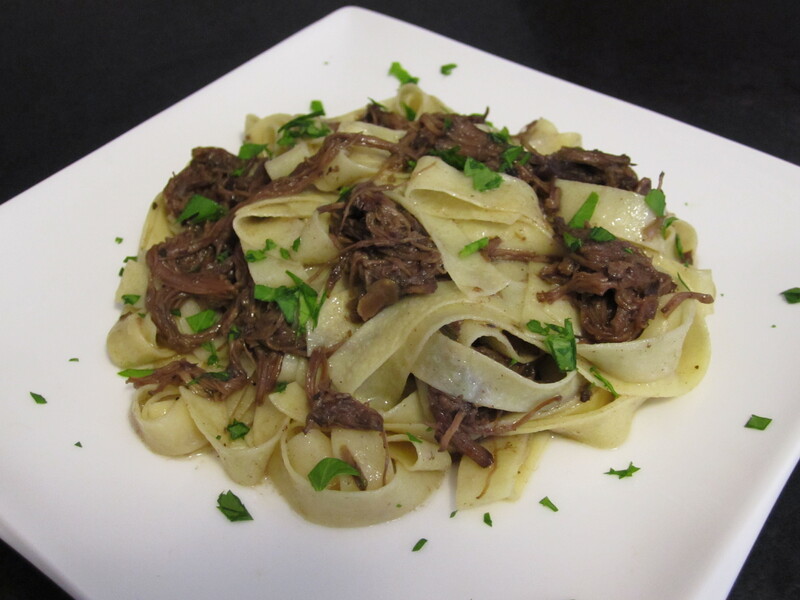 This is a delicious, once-in-a-while, “wow, I made that?” dish. Start it in the morning and let it braise while you do a few loads of laundry, mow the lawn, whatever. The result will be a succulent piece of pork that falls apart in your mouth. Yum. Combine all the dry rub ingredients in a bowl. Massage the rub all over the pork belly, then cover and refrigerate for 24 hours. Preheat the oven to 325 degrees. Coat a large, high-sided pan with olive oil and put over medium-high heat. Add the onion, celery, and garlic. Season the vegetables with the crushed red pepper and salt, to taste. Cook the vegetables until they start to soften, about 10 to 12 minutes. Add the wine and cook for an additional 5 minutes. Stir in the mustard and chicken stock. Add the pork belly, then toss in the thyme and bay leaves. Cover and put in the preheated oven. Braise the belly for 6 hours, checking occasionally and rotating the pan half way through the cooking process. After the 6 hours, remove the lid and set the oven to broil. Broil the pork belly for a few minutes, until it gets a nice golden color. 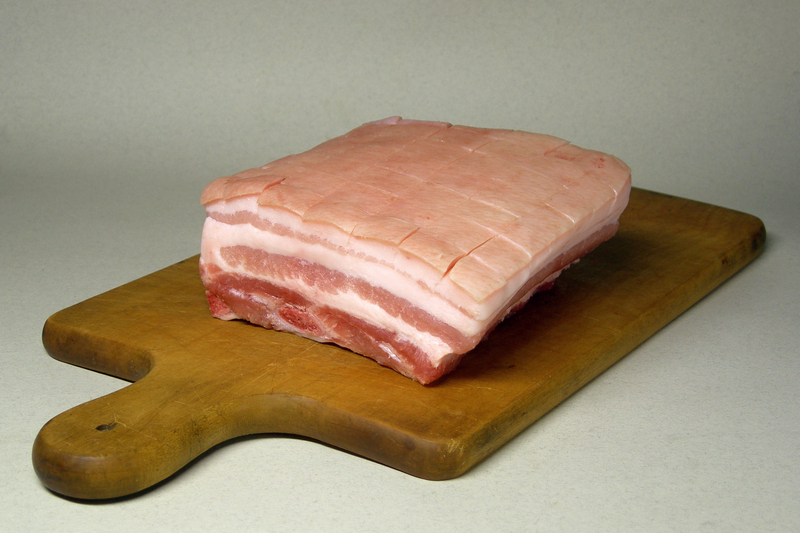 Transfer the pork belly to a cutting board and cut into portions. Arrange the pork on a platter, or serve onto plates and pour some of the braising liquid on top. 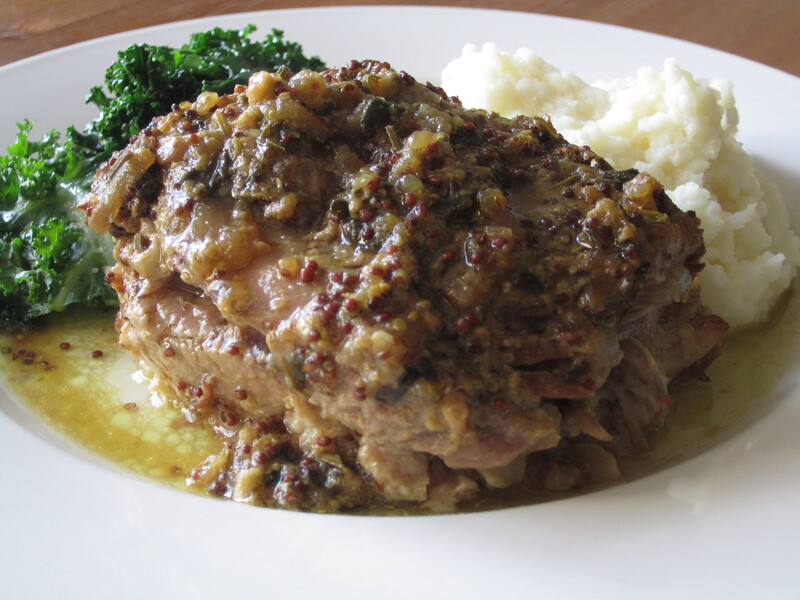 This goes nicely with mashed potatoes or rice, and some wilted greens, such as kale or mustard greens. You don’t see country-style ribs often on restaurant menus. Well, at least I don’t. I’m not sure why, since they are a lot meatier than your traditional beef or pork ribs. Country-style ribs are cut from the sirloin or rib end of the pork loin. Since they’re perfect for those of us who want to use a knife and fork, I often use this cut for braising or cooking with Spanish-style rice. 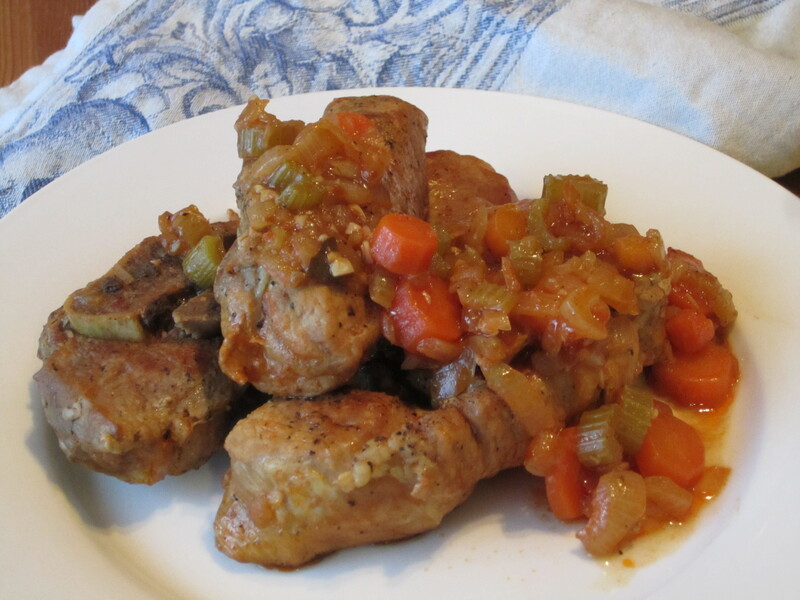 Today, I’ve decided to braise them with some onion, celery, and carrots. Deglazing the pot with apple cider vinegar results in a tangy sauce that’s great to sop up with some crusty bread. Pat the ribs dry and season generously with salt and pepper. Heat 2 tablespoons oil in a Dutch oven over medium-high heat and brown the ribs on all sides. Remove the ribs and set aside. Add the remaining 1 tablespoon oil to the Dutch oven and reduce the heat to medium. Add the onions, carrots, celery, salt, and pepper and cook until soft, about 5 to 8 minutes. Add the garlic and cook about 1 minute, until fragrant. Add the tomato paste and cook an additional 3 minutes. Deglaze the pan with the apple cider vinegar, then add the red pepper flakes and bay leaves. Add the ribs back to the pan and add enough stock to reach halfway up the sides of the ribs. Bring the pan to a simmer, cover, and place in the oven. Braise until the meat is tender, about 1 1/2 hours. During the last half hour, uncover to allow the liquid to reduce. Remove the bay leaves. Plate the ribs and spoon the sauce and vegetables over them. Enjoy!